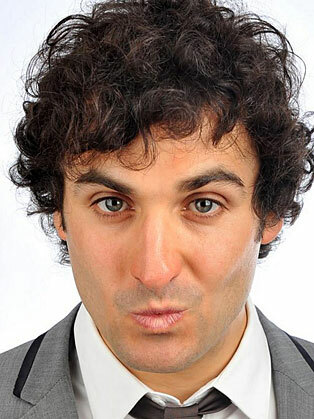 Patrick Monahan is a regular on the UK comedy circuit, playing venues such as the Comedy Store, Jongleurs, The Glee club to name just a few, Patrick has also performed in Europe and on the International comedy scene. A great observer of life and people, Patrick's mixture of charm, cheek and improvisation has made his a popular live performer with over half a dozen Edinburgh shows and performances from Luxembourg to Qatar to his name. Patrick started off on the glamorous Irish/Iranian/Geordie stand-up circuit where he developed his chatty & friendly, story telling style. Now a regular on the UK comedy circuit, playing venues such as the Comedy Store, Jongleurs, The Glee club to name just a few, Patrick has also performed in Europe and on the International comedy scene, including shows in France (Paris 'Hotel Du Nordi' & The Alps), Monaco, Germany (Berlin), Belgium (Brussels & Antwerp), United Arab Emirates (Dubai, Doha & Abu Dhabi) and Bahrain. Patrick regularly performs in most comedy clubs across England from Newcastle to Devon, as well as in Scotland, Ireland, Wales & Jersey. As well as a regular TV & studio warm up - on shows such as 'Friday Night Jonathan Ross', 'The IT Crowd', 'The Lenny Henry Show', 'Davina', 'Open House with Gloria Hunerford', as well as a regular MC at selected venues on the comedy circuit. He's also appeared as a contributor to nine out of twelve episodes of Channel Five's 'That's so Last Week'. He has also appeared on BBC's Destination Unknown', 'Malai Monologues' and as a panel member on the comedy quiz show 'Sudoko Street Challenge'. An original writer and clever improviser skilled in audience interaction, Patrick's versatility, likeability and engaging stage presence has popular appeal, be it, stand-up, comedy character, host, presenter! "He moves around the stage like a boxer working a ring, covering all angles and staying light on his feet. He is a walking advert for world harmony. Hearts will be broken, socks will be laughed off."